CGV Cinemas' 4DX screening technology reached a new benchmark in 2016 as it welcomed 15 million viewers for the first time. The exhibition format also exceeded USD 200 million in annual sales for the first time. Overall, 2016 registered a 20% visitor increase for the format and a 25% sales increase for the company. Among the reasons for the uptick was an increase in titles available in the format across the world. Of the cumulative films that have been made available in 4DX, 105 films were screened last year. Currently, there are 350 theaters equipped with 4DX technology in 44 countries around the world, including Korea, China, Japan and the United States. China has been the fastest growing market for the technology. As of the end of the beginning of 2017, there are now 11,448 4DX seats in 109 theaters across the country. CGV increased its footprint in China by 118% in 2016, giving the country a 32% of the world’s 4DX seats. Japan is another growth market for the exhibition format. After launching in 2013, there are now 49 4DX-equipped screens in the country. Europe is another area of growth after adding three new countries last year: Portugal, Slovakia and Serbia. The continent now counts 47 screens in 14 nations, up from 27 screens in 11 countries in 2015. 4DX also began operations in Canada, Panama, Puerto Rico, the Dominican Republic, Kuwait, Lebanon and Oman, among others. 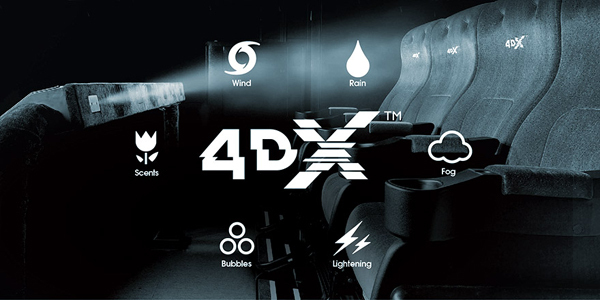 4DX is multi sensory exhibition technology that enhances the viewing experience with the addition of moving seats, smells, sprays and other stimulating effects.